Ray Vaughn founded the punk/art rock band Hostages in 1979, and later the avant-garde Die Bossa Nova in 1984, leaving his mark on the then-thriving SF music scene, until disappearing from the public eye in 1992. Now over 20 years later, Ray has returned as someone tempered by time and experience–with many new stories to tell. He has found a niche for his music on both college and community radio, and in press and media outlets in the USA and across Europe. San Francisco, CA – Ray Vaughn has written songs and performed in dives and on street corners for a very, very long time. He was a founding member of San Francisco based Punk/Art Rock band Hostages, then Die Bossa Nova, until disappearing in 1992. Ray Vaughn resurfaced in 2010 as a solo acoustic act. After traveling back and forth between New York City and San Francisco, road testing new material, and playing and writing new songs, Vaughn eventually headed back into the studio with Grammy award winning producer Michael Rosen (Tesla/Rancid/Papa Roach) in December of 2011. The result of their efforts is the new 10-track full-length album Way Down Low. 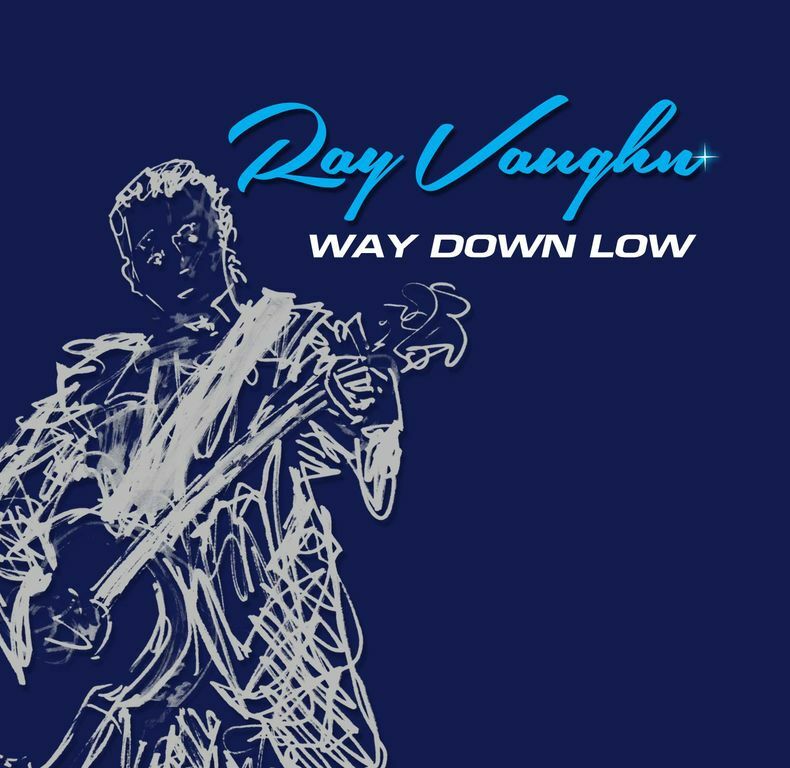 Way Down Low features longtime friend and guitarist from the Hostages Ed Rawlings, Drummer Michael Urbano (Smash Mouth, Third Eye Blind, John Hiatt, Cracker, Paul Westerberg and Sheryl Crow), ex-Die Bossa Nova bassist Stephen Winkle, and keyboardist Phil Bennett on Hammond B3. In the fall of 1979, Ray Vaughn formed the Hostages. Having previously spent 6 years in England, first in London and then Birmingham, Vaughn was broadsided and inspired by the exploding music scene around him in the UK at the time, and he brought those influences back home. He moved back to his native San Francisco in late 1978. The music scene he stumbled into upon his return was the antithesis of the scene that drove him away years earlier. In its place were The Mabuhay Gardens, the Deaf Club, and later Club Foot, Valencia Tool and Die, Sound of Music, and the 181 Club, to name just a few of the new and repurposed venues. “What could a poor boy do” but play in a band? The band eventually moved into a 3500-square foot warehouse space in the South of Market (SOMA) neighborhood in late 1980 and created their own venue, throwing monthly rent parties to get by. The space was christened Crab Palace. Hostages released their first 45 single, Inside Houses/Now in 1983, followed by the Inside Houses video. Hostages disbanded in 1984 with their final performance at Graffiti on Valencia Street in San Francisco. A live recording of that show remains in the Hostages vault. Vaughn and guitarist Ed Rawlings continued as a duo playing under the name Part Two, then Human Condition, before settling on Die Bossa Nova. Die Bossa Nova added keyboardist Mitzi Johnson, who was later replaced by Scott Davies, bass player Stephen Winkle and drummer Mark V and continued playing and recording until their break up in June of 1991. June 25th, 2013 marks the release of his new full-length album Way Down Low, which will be available in stores and online. For more information please visit http://www.rayosomusic.com or on Facebook and on Twitter at twitter.com/rayosomusic. Ray Vaughn will be performing in San Francisco at Bottom of the Hill on June 6th and in the New York Tri-State Area in July of 2013.